The Sibon Jaya is a ‘ 70-foot Aluminum Powered Catamaran, the Sibon Jaya is an impeccably built and luxurious surfing charter boat. The ship offers speed, stability, smooth sailing and unparalleled comfort and luxury amenities configured to provide the finest surf experience anyone could expect in the Mentawai islands. 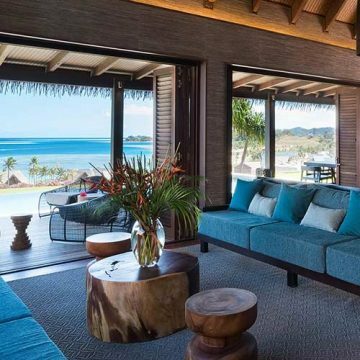 Built with large windows throughout the boat, it offers spectacular views from all angles in the living room. Overall, the boat is roomy, comfortable, and enjoyable across all areas. Loaded with cutting-edge lightweight eco-efficient motors, the Sibon Jaya cruises at speeds of up to 13 knots producing virtually no smoke. Indoor spaces are air-conditioned, there are tinted glasses, shades, and thermal insulation throughout the boat. An entertainment sound system, 42′ LCD TV, and DVD player, as well as fans and Watermaker / Desalinator, are also available. The rooms provide comfy beds, luxury bed linens, reading lights, and 220V power outlets. Bathrooms have a hot shower and bidet toilet seats. Blackout and mosquito nets on all Hatches and the suites’ doors and walls are sound insulated. Rear upper deck displays a spacious area with many sofas and lots of room to entertain, enjoy a cold beverage, or lay down while watching perfect waves and magnificent colorful Sunsets unique to the Mentawai Islands. The ample submersible swim platform affords easy access to the water for leisure activities and connects life on board with the sea. 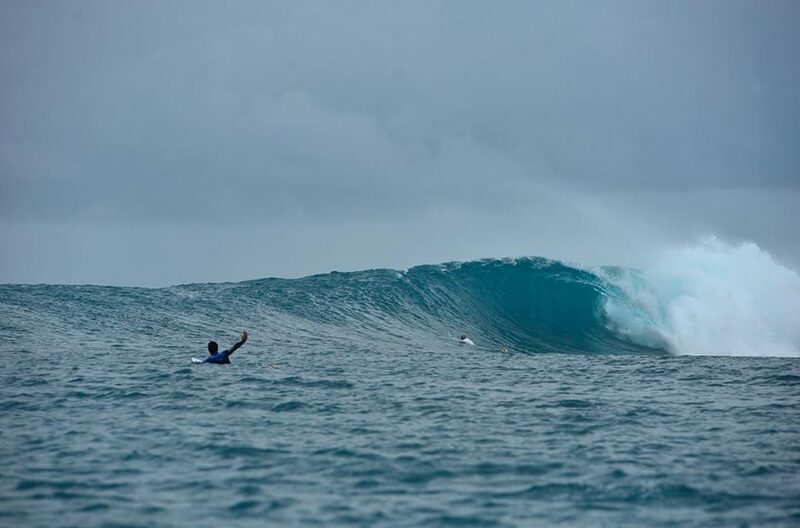 A Mentawai Islands boat trip with a group of friends is the best surf trip in the world, period. The Sibon Jaya is one of the nicest surf charter boats available in the Mentawai Islands offering a safe and comfortable experience from start to finish. 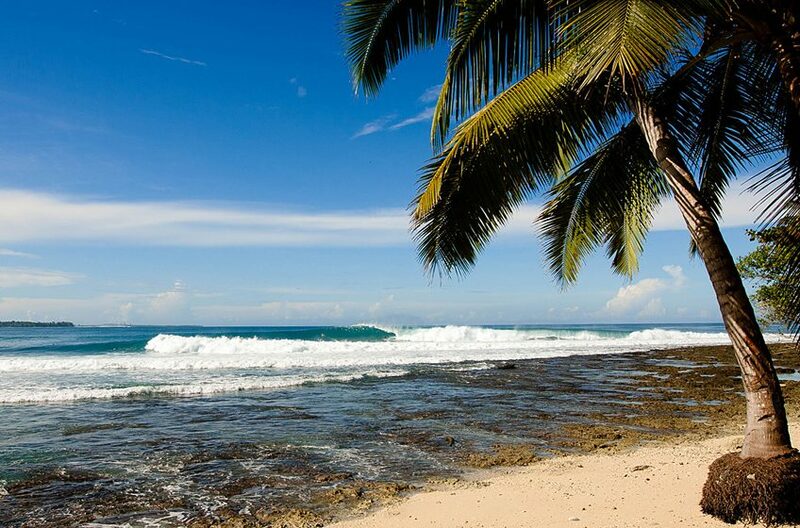 It is not possible to have a better surf trip! Use of all equipment and amenities. 2. IS THERE A GENERAL CODE OF CONDUCT I SHOULD FOLLOW DURING MY STAY? The Sibon Jaya offers full meals ranging from local Indonesian dishes to pasta plates, pizza, chicken and of course fresh fish. They consider every meal extremely important to give you the energy you need to surf all day. There is a set schedule for meals so you don’t have to wonder what time you eat. • Twin Cummins QSB 6.7 main engines. • Twin Cummins Onan 13.5 KVA ‘silent’ Generators. • 3 x fuel tanks = 10 ton. • 2 x fresh water tanks = 6 ton. • 1 x High Volume Water Maker. • 4 x Solar Panels. • 1 x Dive Platform. • 1 x 5 mtr chase boat powered by 40 HP engine. • 1 x 20 person emergency life raft. • 1 x HF radio. • 1 x VHF radio. • 3 x Icom hand held radios. • Extensive Raymarine electronic navigation & safety package. • 1 x Satellite telefone. • Oxygen, full medical kit. Deposit required to confirm your booking is USD $1000/person. Absolutely no drugs of any kind tolerated. 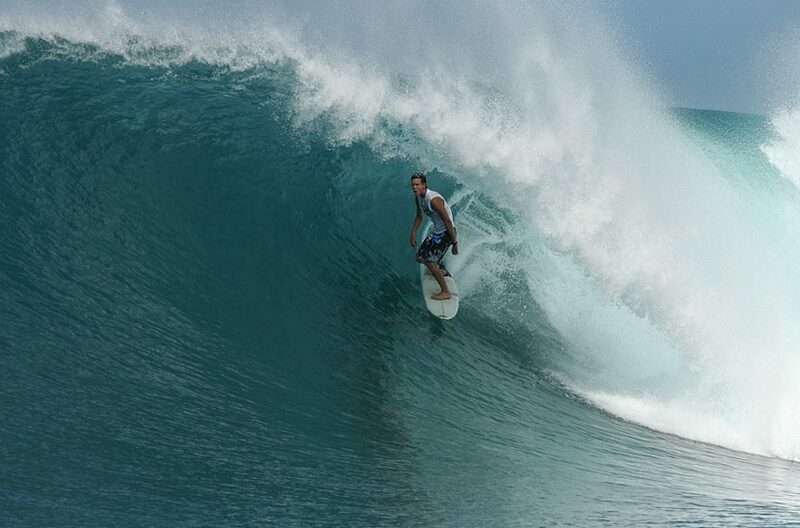 A Frames is one of the most consistent lefts in the Mentawai Islands. 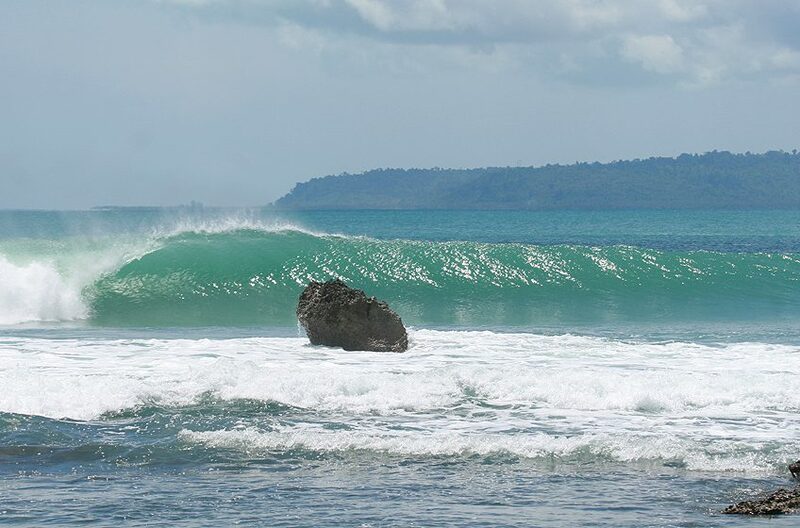 Situated in front of an idyllic island it is one of the many good waves found in the Playgrounds region. 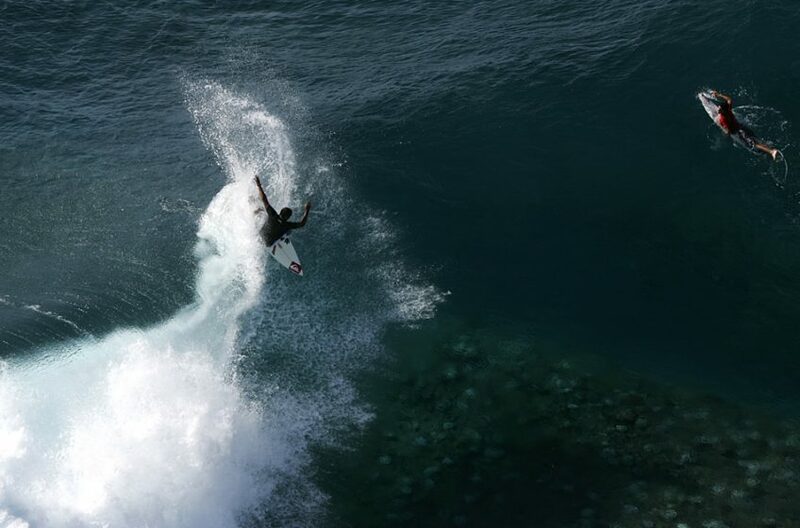 There are generally two sections to surf, the top and the inside. The peaks at the top can be a bit shifty and require a fair amount of paddling around to find the right area while the inside section is more dependable and offers up a better wall to work with. 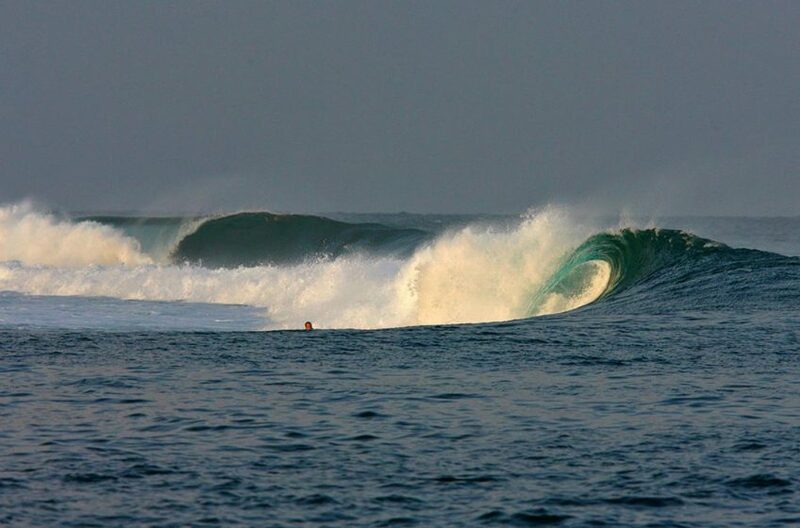 A Frames is easily one of the most popular spots in the Mentawai's and is sometimes referred to as "A Frames".